The 2017 French presidential election offered voters two starkly different choices: while both Emmanuel Macron and Marine Le Pen represented a break from the country’s political past, the candidates campaigned on two very different platforms. The former built his support by championing closer integration with EU states and reforming the domestic economy, while the latter promised to stop France from becoming “submerged by a flood of immigrants”. If not everyone is happy with the choice made by the French electorate, investors certainly are. Since Macron took power, red tape has been cut, the country’s labour laws have been modified, and the small and medium-sized enterprise (SME) landscape has been reshaped. 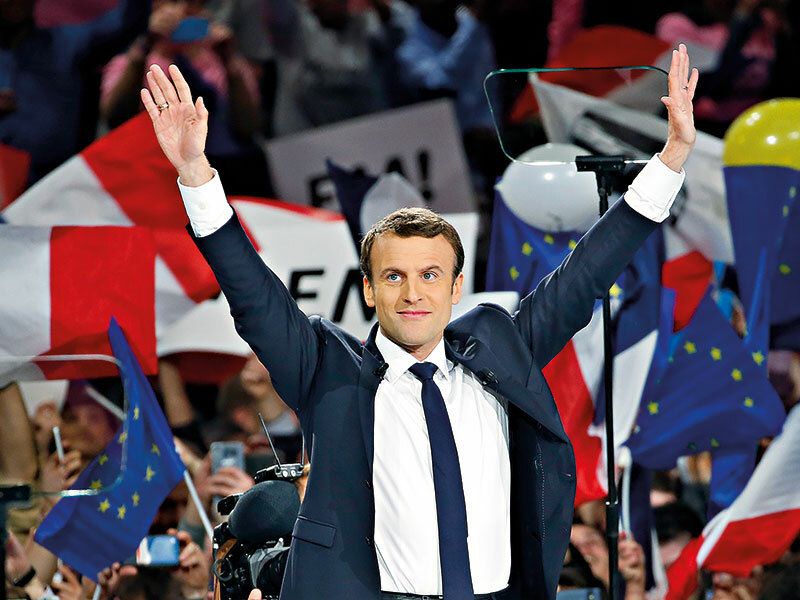 With the president’s La République en Marche party boasting a sizeable parliamentary majority, passing further reforms should not be overly challenging. That isn’t to say Macron’s policies have been without controversy. As a former banker, he will always arouse suspicion from some in a post-2008 world. But for others, his commitment to reform is exactly what’s needed to revitalise a business climate that has lagged behind that of Germany and the UK for some time. Despite only winning the election a little over a year ago and having never previously held elected office, Macron’s presidency is already being lauded by members of the French business community. Some have even declared now is the best time in living memory to invest in France. Such lofty claims reflect the fact that Macron has already made significant progress across a number of areas during his tenure. A labour reform passed in September 2017 has liberalised the job market by enabling businesses to negotiate deals with their workers, instead of having to comply with industry-wide agreements. Individual tax cuts have followed, and a decrease to corporate tax rates – from today’s 33.3 percent to just 25 percent – will come into force by 2022. Collectively, these measures have targeted some long-held problem areas in the French economy. “Macron’s policies have touched upon several issues that were previously viewed as ‘unreformable’, such as the organisation of labour-management relations and reforming specific sectors, such as the railways,” Thomas Michalski, Associate Professor of Economics at HEC Paris, told European CEO. SMEs have also received a boost under the Macron presidency. Despite the fact there are almost 3.5 million SMEs in France, representing 43.3 percent of the country’s GDP, they struggle to compete with their international rivals. While 310,000 German SMEs export their products abroad, this figure falls to 125,000 in France. Ségolène Dugué, Managing Director at Cohen Amir-Aslani, a founding member of the international legal network Globalaw, explained to European CEO how the president is revitalising this section of the economy. In response to Macron’s reforms, French investment markets are maintaining an upward trajectory. Across the president’s first year in office, the performance of France’s CAC 60 large-cap index surpassed that of Germany’s DAX and the continent-wide Euro Stoxx 50. Even as many other European stock exchanges were rocked by global trade tensions and political turmoil in Italy, the French equities market stood firm. Businesses in France have also experienced a significant rise in investment under the Macron presidency, receiving €31bn from public markets in 2017 – a 47 percent rise when compared with the previous 12 months. With plans afoot to make equities investing more attractive for long-term savers, the country’s improving business reputation could be set for further gains. Although Macron’s policies have certainly made an impact, so have his words. Perception is important to the markets, so Macron’s focus on the economy and entrepreneurialism was always likely to result in a boost to French stocks. His pro-business rhetoric also comes as a breath of fresh air following François Hollande’s presidency, which was characterised by high unemployment and rising taxes. Macron’s self-proclaimed “Jupiterian” style may be pompous to some, but the market is evidently behind the former investment banker. In particular, Macron has made wooing foreign investors a major trait of his government. Foreign investment funded 697 new projects in France throughout 2017, representing a rise of almost 50 percent compared with 2016. IBM has promised to create an additional 1,800 jobs and Microsoft has pledged to open four data centres in the country as part of a $30m (€25.8m) investment. Similarly, Uber has plans to fund a $20m (€17.2m) research and development centre in Paris in an attempt to turn its vision of all-electric flying cars into a reality. What’s more, Macron’s presidential style promises stability. In Germany, Angela Merkel has faced difficulties keeping her coalition government together. In Italy, populists with a radical economic agenda have taken charge, while the UK continues to stagger through its protracted Brexit negotiations. By contrast, Macron is seen as a committed champion of the European project at a time when its detractors are seemingly getting louder. Earlier this year, the French president managed to bring the country’s deficit below the EU’s three percent threshold for the first time in a decade. That being said, Macron has been dealt a good hand. The global economy is enjoying a solid recovery period – something the president cannot take credit for, but that certainly helps the investment climate – and the market is fully aware things could have ended up very differently. Investors and businesses were always going to look favourably on Macron’s policies by virtue of the fact that it could have been Marine Le Pen calling the economic shots instead. This optimism is perhaps tinged with a little schadenfreude as well. With businesses based across the English Channel concerned about their post-Brexit future, Macron is positioning France – and Paris in particular – as the natural place for them to relocate. In EY’s 2018 survey, Paris overtook London as the most attractive investment destination in Europe for the first time since the survey began in 2000. Macron is helping to ensure the UK’s loss is France’s gain. While union-led protests have thwarted efforts to reform the French economy in the past – notably in 1995 – times are different now. As in many other parts of the world, French labour unions do not wield the same power they once did, and Macron has significant public support. According to an Ifop survey taken earlier this year, only 44 percent of the French people felt the strikes in March were justified. As Macron continues to plough forward with his economic policies, there are many who will find cause to criticise them. He is, after all, an ex-banker and a globalist, making him an easy target for individuals occupying both the left and right halves of the political spectrum. Just don’t expect investors to be too concerned.